Just a reminder, Christmas in July is coming in 2 days. Are you ready? The store is completely tore apart and the elves look like they haven't slept in weeks. In fact, I know they really are lacking sleep because they have an extra special for you. 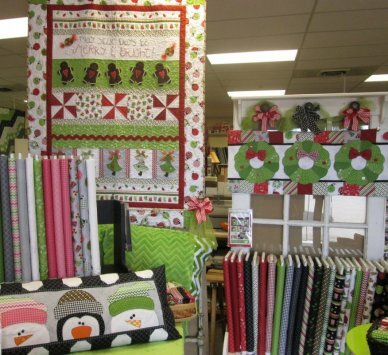 The first person to come in and purchase a cut of Christmas fabric on Thursday, Friday and Saturday will determine the special fabric for the day. Each person to buy that particular fabric that day, will receive 25% off of their yardage on that bolt. We are so excited for you to come see all the new fabric, the new projects and all of the displays. Get a jump on your Christmas giving but don't forget to get something for yourself too. Christmas in July ~ July 17, 18, 19. Thursday July 17, we are having the Schoolhouse Event again. We start at 6:00 pm with the demos, new techniques and a show and tell. You don't want to miss this night, and of course you will want to bring a friend. All bolted fabric will be 20% off (1/2 yard cuts or more) and all remnants will be 1/2 off. 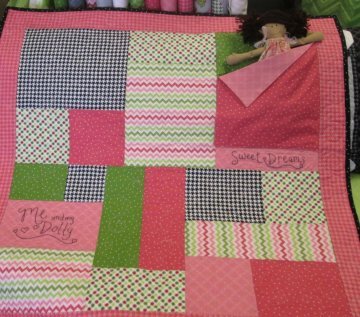 Here are a few more quilts to tease you with. Click to visit Valley Fabric Shop!